As New Yorkers return to their beloved urban jungle in the fall, restaurants have embraced the bounties of Autumn with seasonal flavors replacing summer menus which include plethora of foodie options to satisfy the insatiable palettes of discerning New Yorkers. Here are some of our top picks for the season. Astoria is notorious for amazing food and has become a foodie’s mecca perfect for their next feast. 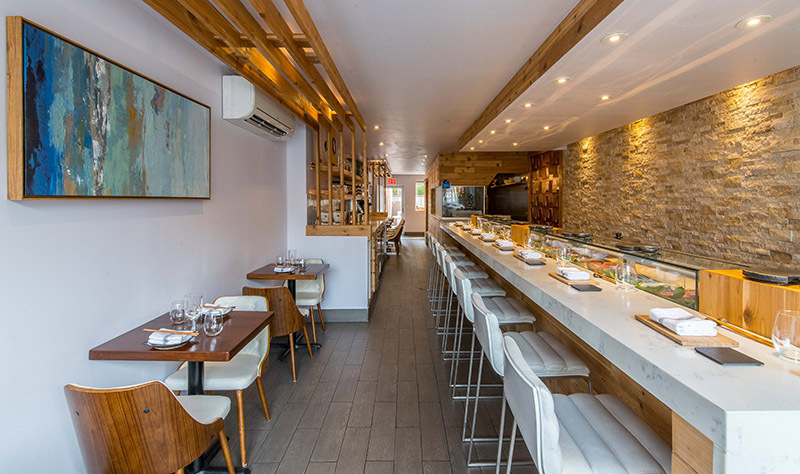 Gaijin, which is Japanese for foreigner, is Astoria’s latest culinary gem on 31st Avenue that is awash in a palette of zen like neutrals. Launched by Chicago native co-owner and executive Chef Mark, he felt that food is a universal language that transcends the spoken word and chose the name which described himself- a foreigner that shared a passion for the art of Japanese cuisine. His artistic eye and creative skills are influenced by his trainer Chef Kaze, a veteran Chicago sushi chef with a 30-year history of opening innovative and wildly successful sushi restaurants- Macku Sushi and Mirai Sushi. His talent and mastery of Japanese cuisine is best experienced through the daily changing 6 or 13 course Omakase menu served at the sushi bar where you can observe and taste Chef Mark’s culinary skills while learning about his handpicked selection of hard to find seasonal fish. Offering some of the most unique and flavorful Japanese dishes in the city, this gem conveys the true art of Japanese Omakase. Other selections on the menu include Temaki, Sushi and Sashimi, Robata, Hot Plate and Cold Plate. Rolls such as akami (lean tuna), otoro (fatty tuna), aji (horse mackerel) and saba (seasonal mackeral) are sliced and presented beyond perfection. The bone marrow, with charred scallion, rakkyo, parsley and toasted baguettes is the perfect dish to warm your heart from the Hot Plate section. Along with great food, is a great beverage list consisting of tea, beer, wine and of course sake. A range of different sake’s are offered to diners, including Sohomare Karakuchi Junmai, Tamagawa Kinsho Junmai Daiginjo and a bottle Masumi Okuden Katsukuri is perfect for the table to share. Set on the chic Bond Street in Noho, is the neighborhood’s latest Thai hotspot- Fish Cheeks named for the lean, tender cheek meat that is considered the tastiest part of a fish and a delicacy in Asia. 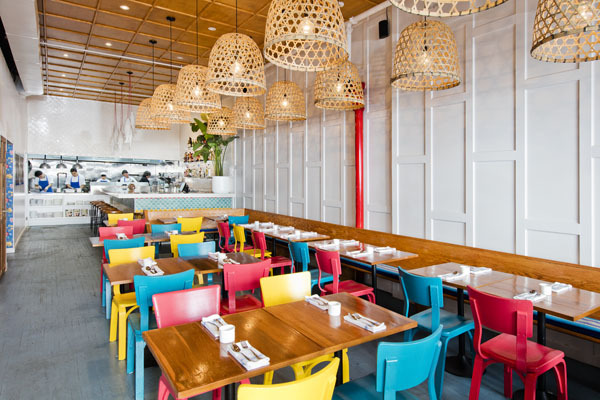 The appealing whimsical design in this vibrant and airy restaurant features pops of color from Thai cushions and fishnet basket lights dangling from the ceiling which tie into the theme of the restaurant. Fish Cheeks is helmed by chefs, and brothers Chat and Ohm Suansilphong, who bring their Thai upbringing to ensure authentic contemporary Thai flavors that you won’t find anywhere else in the city. Focused on fresh seafood and inspired by the flavorful, approachable food that the chefs grew up eating, Fish Cheeks is hailed for its fiery and flavorful ‘family style’ dishes. Guests can expect to indulge in enticing dishes such as the crispy calamari glazed in tamarind and fish sauce, lemongrass fried chicken, coconut crab curry with hand-crushed red curry paste, fresh manila clams with sweet basil, and crispy garlic whole branzino with fish sauce. To compliment your culinary experience, Thai-influenced cocktails are offered, like the spicy mango with cabeza tequila shaken with chili tincture, cilantro sprigs, mango puree and fresh lime juice. Fish Cheeks is the perfect family style Thai food that is guaranteed to satisfy the soul and Instagram profile. Michael Jordan’s steakhouse is as legendary as Mr. 23 himself. 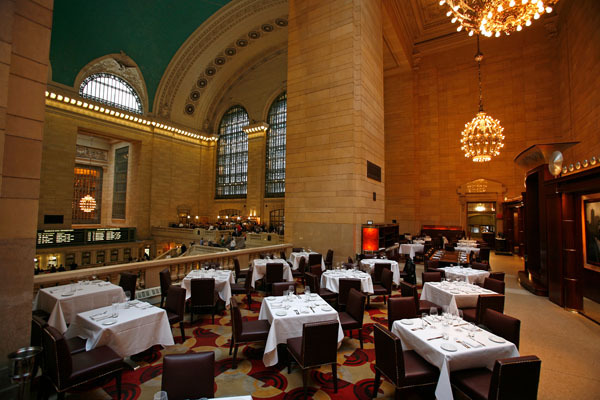 Conveniently located inside Grand Central Terminal, guests can expect a dining experience that is unmatched to the standards of a legend. The restaurant designed by David Rockwell in 1998, rewards allegiance to prestigious train travel—ironically in keeping with the establishment’s surroundings. The dining room stretches across the north balcony, with an enclosed wood-paneled private room and additional spaces for special events. Perfectly charred steaks, pristine seafood, lush desserts and classic dishes are all a part of the far-reaching menu at Jordan’s steakhouse, with New York Strip and Filet Mignon being the heroes of all steak cuts. Every detail counts at Michael Jordan’s Steak House, just like every minute on the court counts.